Ali was as polarizing a superstar as the sports world has ever produced — both admired and vilified in the 1960s and ’70s for his religious, political and social stances. 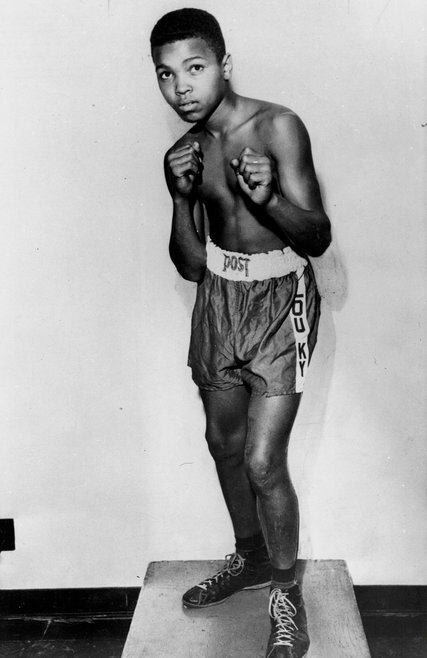 His refusal to be drafted during the Vietnam War, his rejection of racial integration at the height of the civil rights movement, his conversion from Christianity to Islam and the changing of his “slave” name,Cassius Clay, to one bestowed by the separatist black sect he joined, the Lost-Found Nation of Islam, were perceived as serious threats by the conservative establishment and noble acts of defiance by the liberal opposition. Loved or hated, he remained for 50 years one of the most recognizable people on the planet. In later life, Ali became something of a secular saint, a legend in soft focus. He was respected for having sacrificed more than three years of his boxing prime and untold millions of dollars for his antiwar principles after being banished from the ring; he was extolled for his un-self-conscious gallantry in the face of incurable illness, and he was beloved for his accommodating sweetness in public. In 1996, he was trembling and nearly mute as he lit the Olympic caldron in Atlanta. But Ali had his hypocrisies, or at least inconsistencies. How could he consider himself a “race man” yet mock the skin color, hair and features of other African-Americans, most notably Joezi Fraer, his rival and opponent in three classic matches? Ali called him “the gorilla,” and long afterward Frazier continued to express hurt and bitterness.